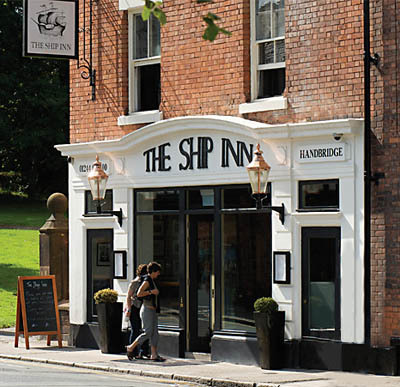 The Ship Inn Chester, Chester. 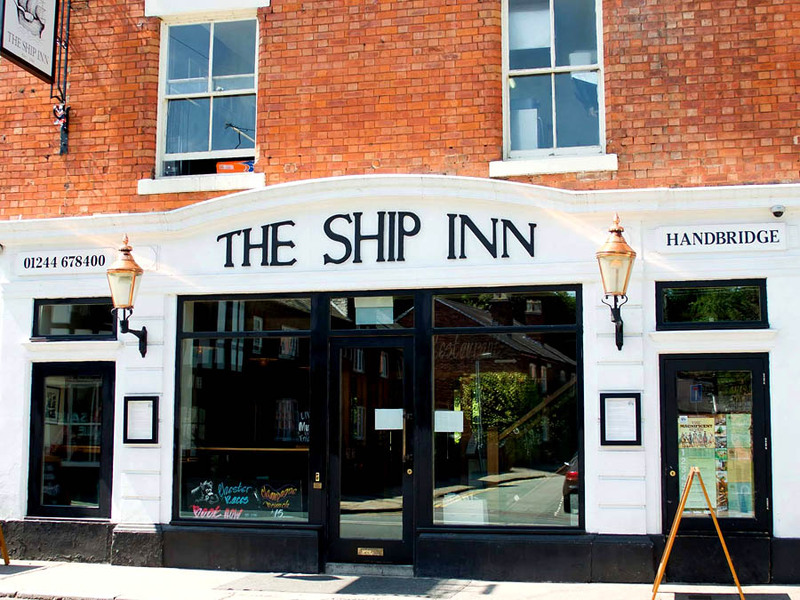 The Ship Inn is a relaxing bar & restaurant with smart, comfortable furnishings, open fire and hand-pulled ales. Just a 10 minute walk from the centre of Chester. Located across the historic Old Dee Bridge in Handbridge. Next to Edgar's Field park. 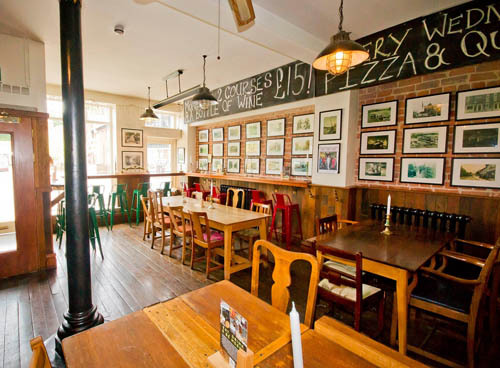 The food menu is packed with British classics and uses local seasonal produce (latest news on Twitter @ChesterShipInn). Try award winning local and guest cask ales.